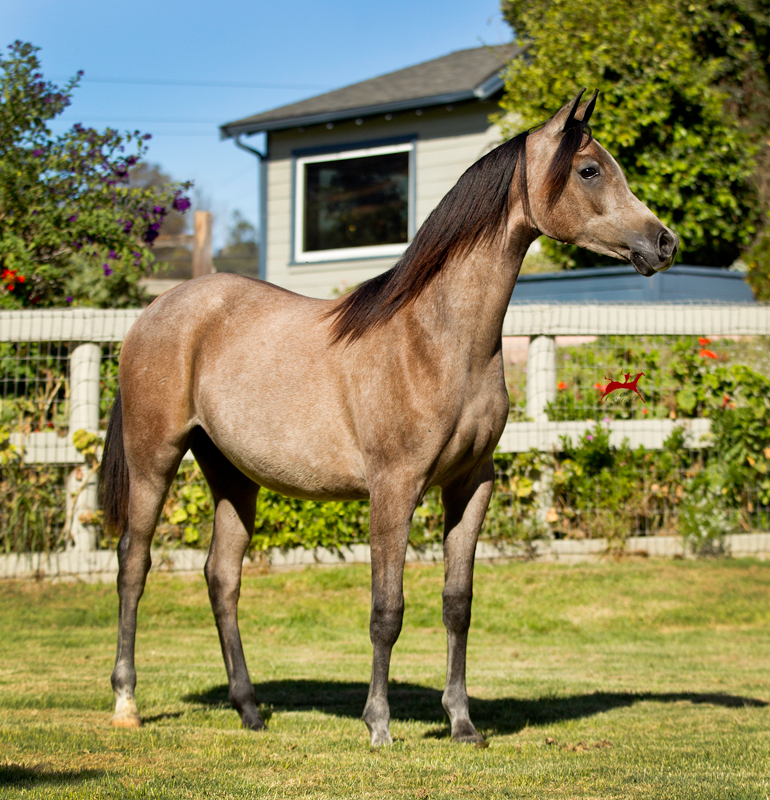 Here is a super quality yearling gelding who will win in halter and then make a lovely hunt or western pleasure horse. 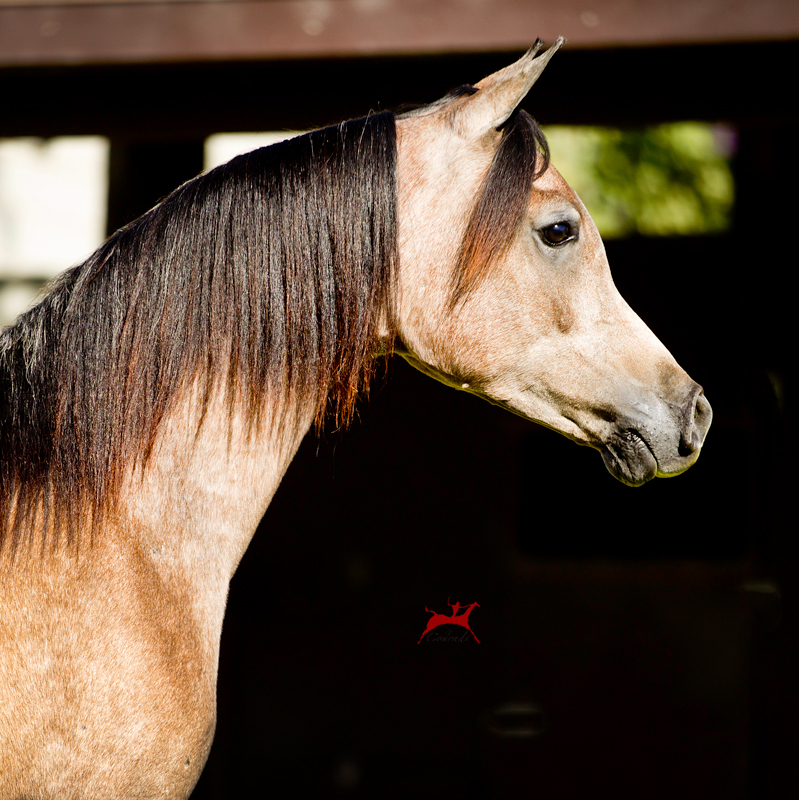 He's a 3/4 brother to 2017 Dubai Bronze Champion Yearling Colt Yas BHM who is also by *Kahil Al Shaqab out of a daughter of *Kwestura! 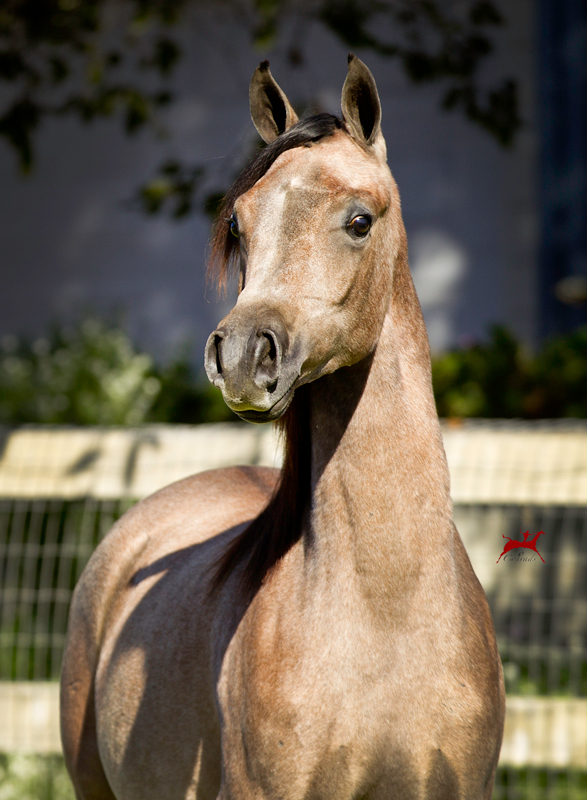 Kingston V is by multiple World Champion *Kahil Al Shaqab, whose oldest North American born foals were yearlings in 2018. 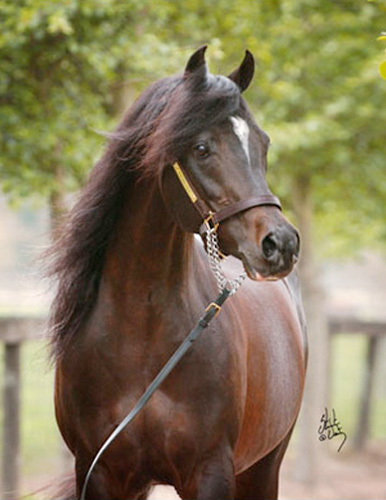 67% of those yearlings who have been shown have won regional halter titles and four have won U.S. Top Ten halter titles. 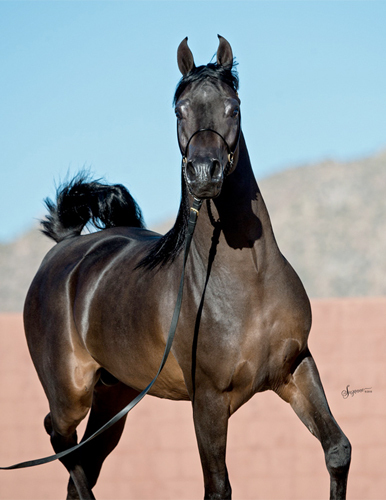 At the 2019 Scottsdale Show, the *Kahil Al Shaqab son Excellence CRF won the very competitive two year old colt class. 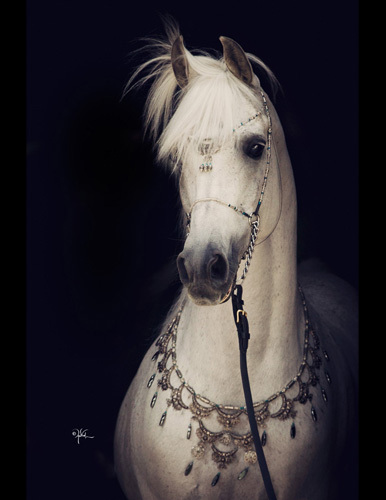 *Kahil Al Shaqab's record as a sire in Europe and the Middle East has been phenomenal. His get there include World Gold Champion Yearling Fillies *Minwah and Pustynia Kahila (also a Polish Gold Champion Mare), Nations Cup Gold Champion Colt and Polish Gold Champion Stallion Morion, Menton and Dubai Silver Champion Yearling Filly D Shireen, European Gold Champion Yearling Filly Adelita, Polish Silver Champion Stallion and European Bronze Champion Yearling Colt Paris, etc. 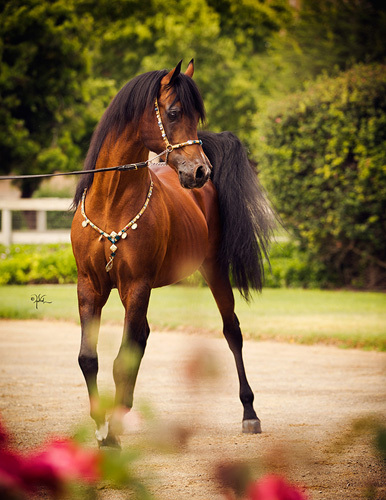 *Kahil Al Shaqab is by multiple World and U.S. National Champion Stallion *Marwan Al Shaqab get have won National Championships in halter, western pleasure, reining, sport horse under saddle, and sport horse show hack. 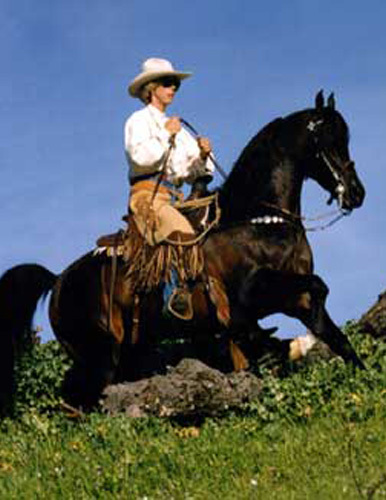 His get have also won Top Ten titles in under saddle in western sidesaddle, hunt pleasure and dressage. 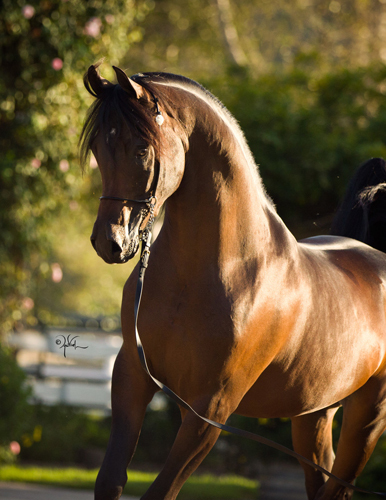 *Kahil Al Shaqab's dam OFW Mishaahl has produced 3 World Champions and is a paternal sister to National Champions in halter and National winners in hunt pleasure and dressage. Kingston V is a maternal brother to U.S. Top Ten Two Year Old Filly Kapricious V, and to Kwesturas Jewel V (exported to Ajman). 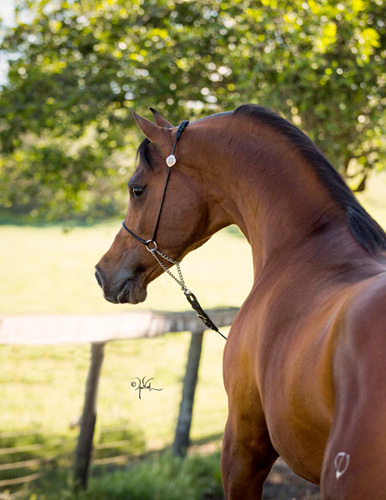 His dam Kashmir NA is a paternal sister to National Champions in hunt pleasure, country pleasure, native costume, English show hack, English sidesaddle and pleasure driving. . 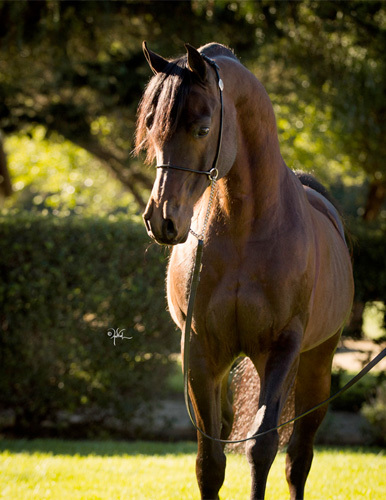 Her dam, World Platinum Champion Mare *Kwestura, is one of the most decorated show mares of all time and has produced three National winners including multiple National Champion Stallion Kabsztad and National Champion Reining Kubla Khan NA. 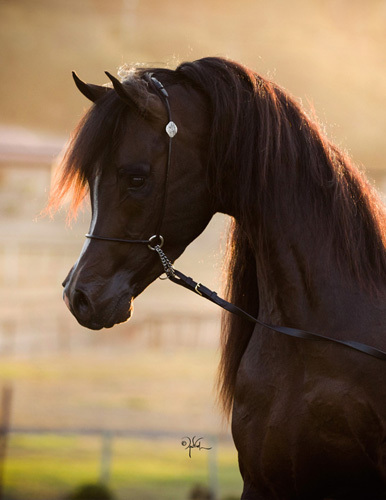 Let Kingston V shine in the show ring for you!